Title from note on verso. 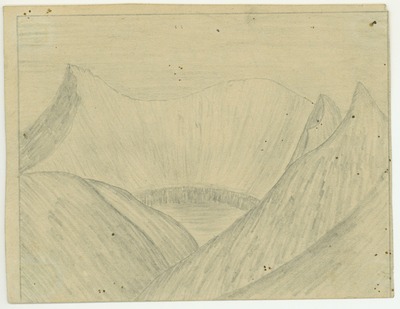 Studio copy of field drawing adapted from 1877 journal. Original drawing dimensions: 10 x 13 cm.